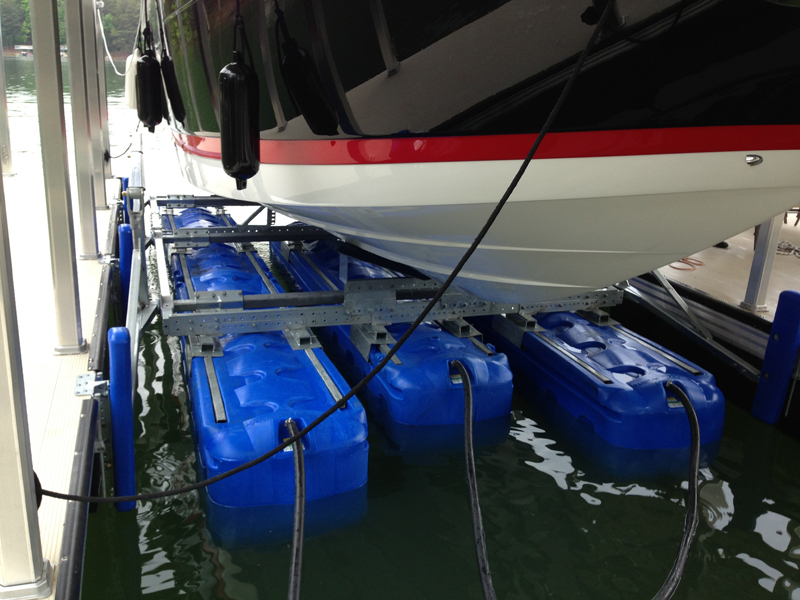 10,000lb – 32,000lb Capacity Boat Lifts. These lifts will accomodate boats up to 32,000lbs, this includes fuel, water and gear. These lifts are built as 2, 3 and 4 tank systems. 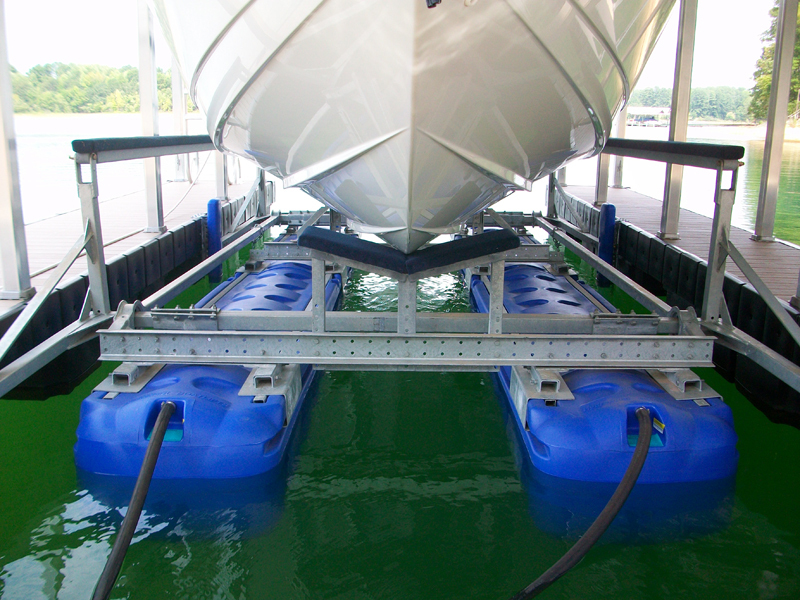 Slip size required depends on the size of the lift needed and the water depth varies from 6ft to 9ft depending on the lift to be installed for your application.